Pammy Blogs Beauty: Tackle Your Under-Eye Issues with Sudden Change Under-Eye Firming Serum: Review and Giveaway! 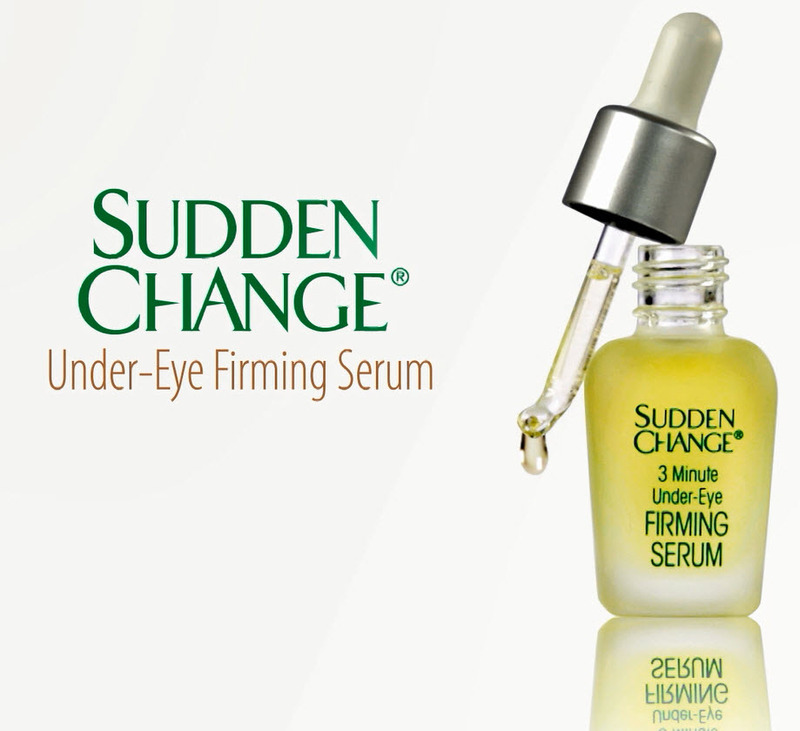 Tackle Your Under-Eye Issues with Sudden Change Under-Eye Firming Serum: Review and Giveaway! Does your under-eye area struggle? Do you have issues like under-eye bags, dark circles, wrinkles, lines, and/or puffiness? My under-eye area is my trouble-spot when it comes to skincare. Actually, my under-eye issues are probably my biggest skincare complaint! I have very dark under eye circles (due to allergies, general lack of sleep, and heredity). I rely on good skincare and ultra-pigmented concealers to tackle my dark circles. In addition, I also have some fine lines around my eye area. Puffiness is not a main issue for me. However, there certainly are times when my eyes get puffier depending on the salt content in my diet and how hydrated I am. Just two drops of Sudden Change Under-Eye Firming Serum applied under each eye is all you need to instantly reduce the appearance of under-eye wrinkles, lines and puffiness. This product is so unique! It is an under eye serum that can either be used alone or be mixed in with your foundation and then applied to your eye area. Honestly, I have never tried a product quite like this! The serum comes in a small bottle with a dropper. The serum has a thin and almost sticky feel (that disappears as it absorbs). When this serum is used, it gives your eyes an instant and temporary under eye "lift"! This product is super easy to use. It can be used alone by smoothing 2 drops of the serum under each eye or it can be mixed into your foundation. When I use as a mix-in, I use 2 drops of serum and one drop of makeup and I mix it on my clean hands. I then smooth it on from my inner to outer under-eye area. While doing this, I try to keep my face still (no frowning or smiling until the product dries). As soon as I smooth on the Sudden Change Under-Eye Firming Serum, I can feel the tightening effect. This product really does work instantly to tighten and firm the under-eye area. I feel like my skin looks and feels more taught in the area. Any minor puffiness is eliminated and I feel that my fine lines look less apparent and more smoothed out. It is hard to evaluate the effect on my dark under-eye circles since I do apply this with my makeup (which covers the darkness). I really do like the ease of using this product! Takes just three minutes, but lasts for hours. Here is my before/after with Sudden Change Under-Eye Firming Serum. The results are more visible in real life (the pictures couldn't completely capture the increase in firmness). There is a difference that I can feel with the smoother/tighter under eye area. My fine lines are not that noticeable to begin with. So, it might be hard to see the difference here. I still have darkness that is apparent. However, my dark circles are darker than most peoples. So, I feel that improvement in this area would be very difficult to achieve. You can find Sudden Change Under-Eye Firming Serum at CVS, Duane Reade, Rite Aid, ULTA, Walgreens and Walmart. Sudden Change is available for under $15.